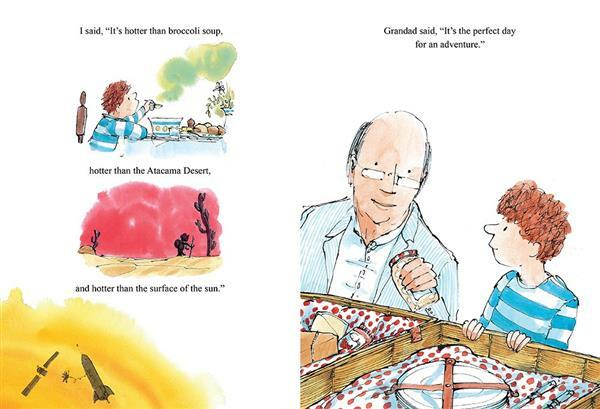 A boy and his grandad set off on a scorching adventure in this companion to Snow and Rain. It's the hottest day of the year, hotter than broccoli soup, hotter than the Atacama Desert, hotter than the surface of the sun. It's just the right kind of day for a boy and his granddad to go for a picnic. 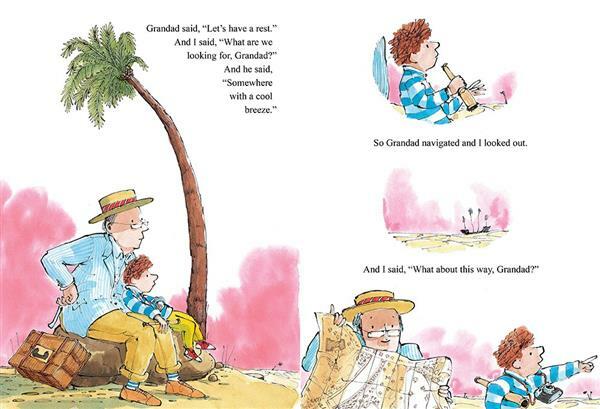 But as the sun beats down, Granddad keeps having to stop for a rest, and by the time they find the perfect picnic spot, some pirates have beaten them to it. Good thing they have enough food to share! 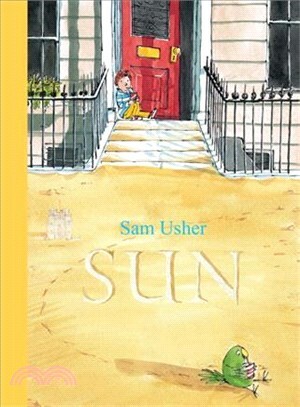 Sam Usher's first book, Have You Seen Sassoon?, was long-listed for the Kate Greenaway Medal and short-listed for the Red House Children's Book Award and the Waterstones Children's Book Prize. He is also the author-illustrator of Snow and Rain.